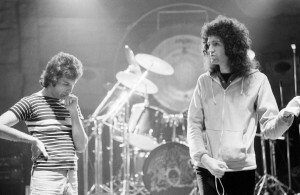 Queen in rehearsal at Shepperton Film studios as they prepared for their forthcoming tour of the US. Left Freddie Mercury and strumming without guitar (right) his Queen band mate Brian May. Proud Galleries announce ‘Terence Spencer: A Lasting Impression’, a playful retrospective exploring the youth and vivacity of one of Britain’s most defining decades. This unique exhibition features the many faces, fashions and sounds of the Swinging Sixties with prints showcasing iconic stars in their prime alongside the beauty of ordinary life and everyday style. SPECIAL PRICE. British band The Beatles – John Lennon, Paul McCartney, George Harrison, and Ringo Starr, pictured in 1964. Proud Galleries will exhibit a charming collection of the late Terence Spencer’s prints, swapping scenes of violence for social enlightenment and cultural idols in booming Britain. Persuaded by his daughter Cara and her admiration of The Beatles, Spencer went on to tour with the band for 6 months. 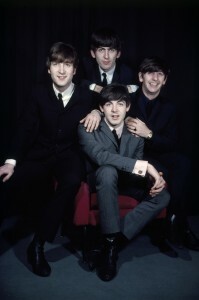 During this time he photographed their movements behind scenes, helping Ringo with his own photography and collating an enviable archive of over 5000 negatives. Throughout the 1960s and beyond, Spencer used his experience as a photojournalist to document the fashions, youth culture, ground-breaking music and elated dreams of the generation, capturing the faces of real people, models, actors, designers, writers, and sportsmen alike. Spencer’s gregarious flair and ability to put his subjects at ease yielded photographs with an intrinsic light-heartedness. The star-studded collection is complete with natural shots of Muhammad Ali and Marianne Faithfull alongside photographs of entrepreneur Sir Richard Branson captured in the bath with a model aeroplane. Proud Camden will celebrate a deeply humanising, honest collection of Terence Spencer’s extensive archive which embodies the liberalised popular culture of the ‘60s and offers a nostalgic snapshot of a dynamic period of social change and musical revolution.